A very famous and well-known Mexican professional golfer is named Abraham Ancer. His current tour is PGA Tour and his former tour is Web.com Tour. Abraham started playing golf from his college time. At his college, he was a first-team All-American and finished in a tie for second in the Junior College National Golf Championship. In the year 2013, he turned into professional. Abraham Ancer soars into a five-shot lead at Australian Open. Abraham Ancer defied blustery conditions to fire a superb seven-under 65 and open up a five-stroke lead after the third round of the Emirates Australian Open in Sydney. Ancer was in a class of his own at The Lakes on a day when only seven players returned sub-70 scores, making nine birdies and dropping only two shots to storm to the top of the leaderboard with a commanding advantage over the chasing pack on 13 under par. Teenage Japanese amateur Keita Nakajima emerged as Ancer's closest challenger after he fired a 70 to edge ahead of star American duo Keegan Bradley and Matt Kuchar, while overnight joint-leaders Byeong Hun An (76) and Max McCardle (75) saw their challenges scuppered by the weather. 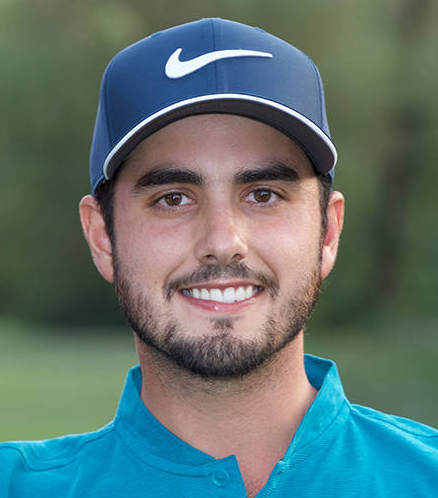 Abraham Ancer was born on 27th February 1991. As of 2018, he is 27 years old. He was born in McAllen, Texas. He raised in Reynosa, Mexico, and has dual American and Mexican citizenship. His nationality is Mexican. There is no any information regarding his family, childhood, and siblings. His ethnicity is Hispanic. Regarding his education, he attended Odessa College and later he graduated from the University of Oklahoma in the year 2013. Abraham has got a very attractive body. 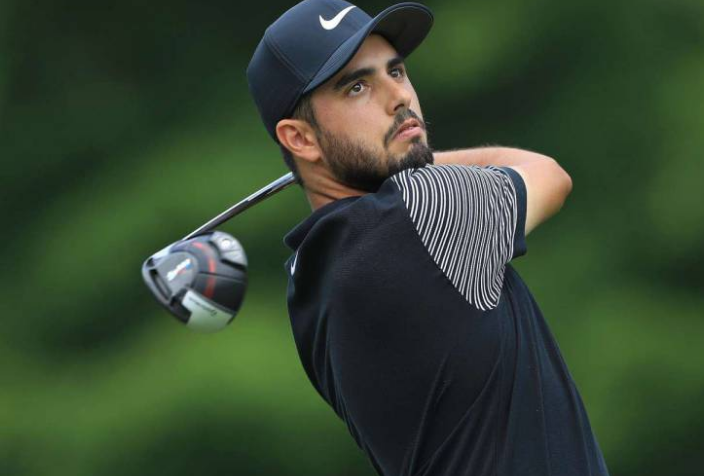 Abraham Ancer has a tall height of 1.70 m (5ft 7in) and balanced weight of 155 lb (70 Kg). His other body measurement will be updated soon. With his charming smile, he attracts a lot of people towards him. Abraham started playing golf from his college time. He also played golf in his University where he won twice while having the sixth-lowest scoring average in Oklahoma history of 72.03. He ended up second in all-time scoring average and ended up with the third-most birdies (352) in school history. In the year 2013, he turned professional. He tied for 35th place at the Web.com Tour Qualifying School final stage in December 2014. In the year 2015, he played on the Web.com Tour where he finished runner-up at the Brasil Champions in March and won the Nova Scotia Open in July. In his 2016 season, he finished 11th in the regular season money list, which earned him a PGA Tour card. Abraham could not make his card for the 2017 season in his rookie year. During the 2017 season at the Web.com Tour, five top-5 finishes, including three runner-up finishes, allowed Ancer to secure his PGA Tour card for the 2018 season by finishing in third place on the regular season money list. He finished 9th at the OHL Classic at Mayakoba, 8th at the Houston Open, 4th at the Quicken Loans National, 5th at the RBC Canadian Open, and 7th at the Dell Technologies Championship in his 2017-2018 season. Also, he earned $1.7 Million and finished in the FedEx Cup in 60th position. Abraham is not married yet and he is still to get married. But he is in a relationship with Marcela Cantu, his girlfriend. Cantu is an actress mostly known for her performance in the movie Newness that came out in the year 2017. The couple is also spotted in many public places. They are enjoying their life a lot. Other information will be updated soon. Abraham has made his career very impressive and also he earns a lot of money. He has got a very attractive net worth and a handsome salary. The net worth of Abraham is estimated to have $1 Million as of 2018 and hope to be $10 Million as of 2018. He is making a good amount of money from his career. The exact salary of Abraham has not been revealed yet and will be updated soon. He is very successful in his private life as well as professional life. Abraham is very active on social media site such as Facebook, Twitter, Instagram to connect with the world. He has got more than 3K followers on Twitter. His Twitter profile is @Abraham_Ancer. In his Instagram account, he has more than 10K followers following him. His Instagram account is @abrahamancer. He has got many fans following him. Abraham started playing golf from his college time. At his college, he was a first-team All-American and finished in a tie for second in the Junior College National Golf Championship. In the year 2013, he turned into professional.